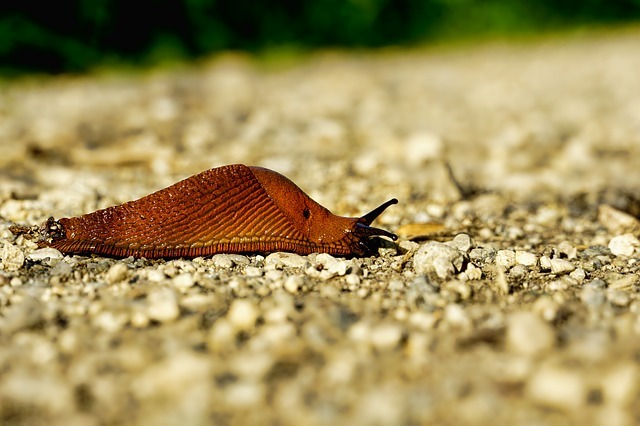 To troubleshoot a remote desktop connection you need to understand the contrasting roles of the network host (victim) and the local client computer (parasite). Each factor in making a successful connection is easier if both the client and host are running Microsoft’s Windows 8. However, don’t worry if one of the computers is running Windows 7, Vista, XP, or even Windows Server, you can still get a remote desktop connection to work. The key to configuring the host is thinking ahead. Realize that one day you are going to leave your office with the Windows 8 machine running, and then visit a colleague in another part of the building; the problem comes when you need a file which is on your Windows 8 computer back in the first office. To save that long trek back to your machine, launch Remote Desktop from a colleague’s machine, and then connect to your Windows 8 computer back in the other office. Once you configure the logon credentials make the connection a LAN, or even over the internet via TCP port 3389. Working with a Windows 8 remote desktop is almost indistinguishable from being there at the physical host machine. Assuming you are seeing the Metro UI: click on Control Panel, or if you cannot find it type ‘c o n t r o l’ and select the icon. Once the control panel is open head for: More Settings, System and Security, Remote Settings, Remote Desktop and click the radio button next to ‘Allow remote connections to this computer’. For testing I would remove the tick in the box below; see screenshot to the right. Assuming you are at the Desktop: Call for the ‘Charms’, Search, Control Panel. Now it’s System and Security, System, Remote Settings (Left menu), Allow Desktop (Section), Allow connections. ‘Allow connections only from computers running Remote Desktop with Network Level Authentication’ – This means only Microsoft’s Windows 8 or Windows 7 machines. For a modicum of security there is a button (not shown) to control which users can connect to your machine. Windows 8’s remote desktop is smooth, responsive and provides a great display, the one potential problem is that the host machine will fall into deep sleep. The answer is to enable the Wake Timers. 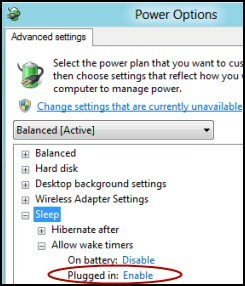 Navigate to Power Options, click on the ‘Change advanced power settings’ link. Note: Change settings that are currently unavailable. On battery: What do you think? The benefit is that if the host machine sleeps, as is likely, you can now awaken it using remote desktop, and thus create remote session. Trust me it works like a charm, so much better than in Windows 7. 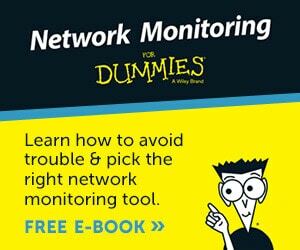 Evaluate Solarwinds Dameware MRC. Talking of options, there is related service called Remote Assistance. This allows an invited friend, or a techie, to access your computer so that they can troubleshoot your problem. Unlike Remote Desktop, in case of Remote Assistance both of you can see the same computer screen. There is an option for sharing control of the mouse pointer. 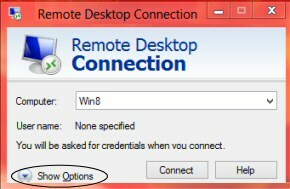 There is a ‘backdoor’ registry tweak which allows you to setup the Remote Desktop Connection as above. This is useful if you forgot to ‘Allow connections’ before you left your machine. My technique involves using a registry setting called fDenyTSConnections to reverse ‘Don’t allow connections to this computer’ on the target machine. My idea relies on the ability of regedit to Connect to network registry, for this you could take the time to start the Remote Registry Service on the target machine. See here for a PowerShell script to start services. The situation is that you have configured the remote host to ‘Allow connections …’. So now it’s time to launch the Remote Desktop Connection on the local client. To access this MSTSC executable in Windows 7, click on the Start Orb, and in the Search dialog box, type Remote Desktop. 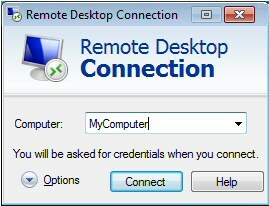 Launch Remote Desktop Connection – See screenshot. If this fails the underlying program is called mstcs.exe and is located at: C:\Windows\System32\mstsc.exe. Type the name of the computer that you want to gain remote access. It’s worth taking the time to examine the ‘Options’ before you click ‘Connect’. It’s also possible to chain remote desktop connections to a third or fourth computer. Delegates on training courses always want to link in this way, but I have yet to see a killer real-life reason to create a long chain of connected computers. The scenario: You are in Windows 8 and you wish to connect to another Window 8 machine, or a Windows 7 / Vista computer. From the Metro UI, type ‘r’ (for remote). Remote Desktop should appear amongst the Apps. As expected, you get the Metro UI multi touch experience. Crisper graphics over WAN connections. Adaptive graphics which can throttle the encoding depending on the bandwidth, or the available server processing power. There is also better video codex. Remote Desktop is available on an ever increasing range of clients’ tablet, slate and mobile devices. Remote Desktop works well in VMs. ‘Favorites’ almost subliminally remind you of what you were doing the last time you used remote desktop. Launching the underlying program mstsc.exe rarely gives problems. Thus troubleshooting focuses on network connectivity and permissions. And once you get a basic remote desktop connection, there is potential for new problems, for example, printing gives trouble, or Aero Graphics don’t display crisply. No problem, remote desktop is already installed on the Windows 8 machine, except on Home Basic editions. To get started just type ‘Remote’ in the Search dialog box. The downside of connecting to a remote machine is that for licensing reasons the host screen has to be locked. The local user could deny the remote connection, or the local user has to be logged out so that the remote person can logon and user the computer’s resources. If nobody is around at the host computer, remote desktop logs off that user after 30 seconds. The only work-around for this one user policy is to buy a third-party remote control software, which sort of negates the point of the free Windows 8 Remote Desktop Connection. The host computer – the distant one that you connect to – must be a Professional, Business or Ultimate edition. However, I always get pleasantly surprised that be any edition, including the home premium. Incidentally, the host could also be Windows 7, Vista, XP or even a Windows Server. Use ping to test the network connection, if there is a problem check the Host records at the DNS server. Alternatively, type the IP address rather than a computer name in the Computer dialog box. If you have selected Network Level Authentication then you must type the full computer name at the client. For example, mycomputer.local and not plain mycomputer. If in doubt try: ping mycomputer. The surest alternative is to check in the Control Panel, System and Security, System: Full computer name. Increasingly, I find entering credentials cures Windows 8 RDC problems. The trick is to make sure that the username you type has previously logged on at that second computer. To get started click on that 'Show Options' button; see screenshot right. 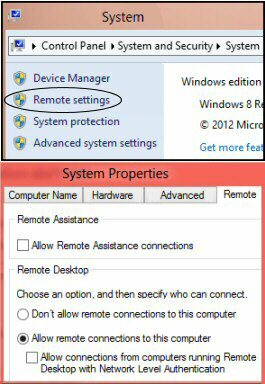 You could also make sure that the user has permission to use remote desktop, check in the Control Panel of the host machine. Disable the firewalls on both the local and remote host computer. Most other experts will tell you not to do this, but I disable the firewall because it eliminates this one factor, and thus re-directs my mind to focus on other sources of configuration mistakes. For problems relating to local resources, or the connection experience, then click on the ‘Options’ button (see above), now examine each of the six tabs that you see in the screenshot below right. For a reason that I cannot fathom, the ‘Experience’ defaults to the slowest connection ‘Modem’, thus if you have a high speed connection you are going to miss out on Aero Graphics effects – unless you select ‘LAN’. I like to reduce hassle by saving my credentials in the General tab. While it’s not a problem in a HomeGroup, if the computers belong to a domain then you can change this group policy. ‘Search’ for gpedit.msc. Remember that .msc as you type name: gpedit.msc. If the host machine is sleeping it maybe difficult to wake the machine and thus make a connection. The answer is to configure the Power Options in the Control Panel, System and Security. 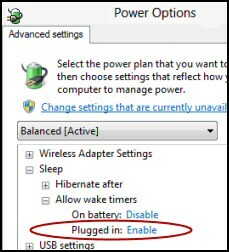 Plugged in: Enable see screenshot to the right. 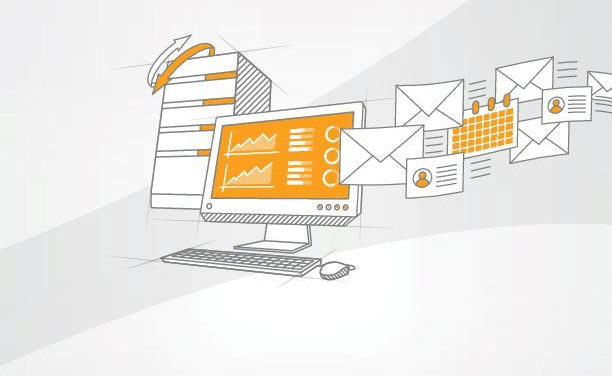 In addition to its use for an ordinary user to connect to a client desktop, remote connection technology can also be used for an administrator to connect to Windows Server 2008. Remote Server Administration Tools (RSAT) for Windows 8 allows administrators to remotely manage roles and features, which are installed on a member of the Windows Server family. However, you have to be running the Enterprise, Professional, or Ultimate editions of Windows 8 to successfully install this add-on to manage the servers. Make sure that are at the Windows 8 computer, download the Remote Server Administration Tools for Windows 8 MSU package from the Microsoft Download Center. Launch the, Control Panel, and then click Programs. Remote Desktop connects two Windows computers over a network. Once linked, you view the remote desktop just as if you were sitting there in the room. The first step in troubleshooting is to check that the distant network computer is setup to allow remote desktop connections. On the client computer test with ping that you can contact the target machine. Once you can make a basic connection examine each tab in the Options. The program can be located at %SystemDirectory%\mstsc.exe.